TGIF! It's finally time for the weekend, which of course always get the party going. For me though, I am excited about weird adult things... like finally have time to clean the house top to bottom. But I also get to catch up and work on nail things! Expect a weekend post(s), woo! Anyway today is the second challenge for the 40 Great Nail Art Ideas prompt group and I had to do a teal negative space. I definitely got an easy one so let's take a look at what I came up with. What do you think? Yes, I played it super safe with this nail look and went simple. I do love how it turned out though. This marks one of the first times I have exposed so much nail for a negative space mani. That's right guys, I'm flashing you haha. I really decided to dig in deep into my collection and use nothing but Essie for this mani. I feel like it's a brand I barely use, but I do have a good amount of. So for this mani I used Sugar Daddy, I'm Addicted, and Blanc. Now the only thing that made me super excited about this mani is that I finally got to use my metal dotting tool from Winstonia. I believe I got this for my birthday a few months ago and I just put it away and didn't think about it. I love all the sizes it came with, didn't expect there to be so many actually. It's a very sleek tool that has made me plan out a few more dotticures this month haha. To finish off my mani I decided to go with a matte topcoat (my favorite being from Butter London). I love the look that the matte gives the whole thing overall. 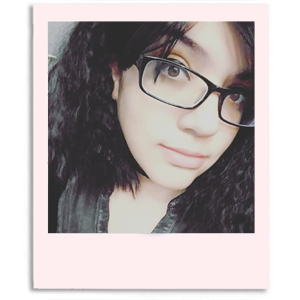 Now I feel I'm going to go back into a 'matte all the things' phase haha. Matte things aside, I am really excited to start doing some art again - even if it's minimalist like it is here. Hopefully as the challenges progress I can really give my freehand a work out. And you know, not totally hulk out over nail fails haha. what can I say? I love it! simple is gorgeous in my book, so, so, gorgeous! Oooh, the negative space plus matte is cool! I love this. I love all negative space! That matte finish definitely adds something to the overall look! These look awesome!! That Essie is such a lovely color! Simple but gorgeous! I really like it matte. 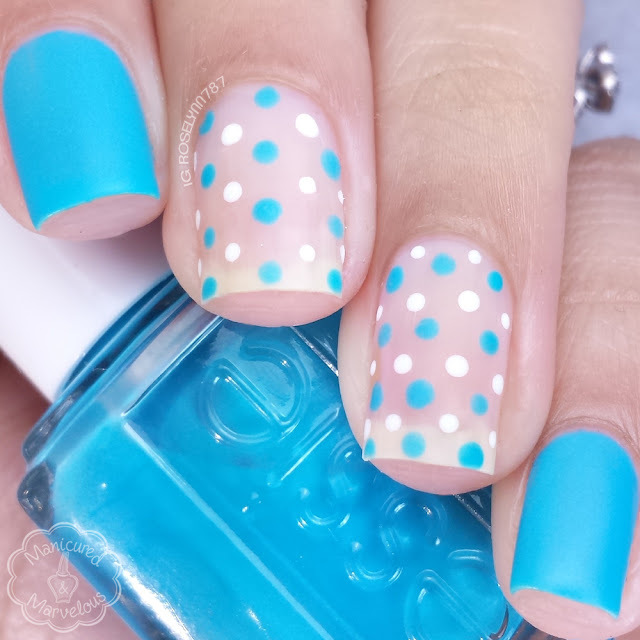 Love that you added a matte top coat to this and those dots are just too cute. The blue is incredible! I love this so much. 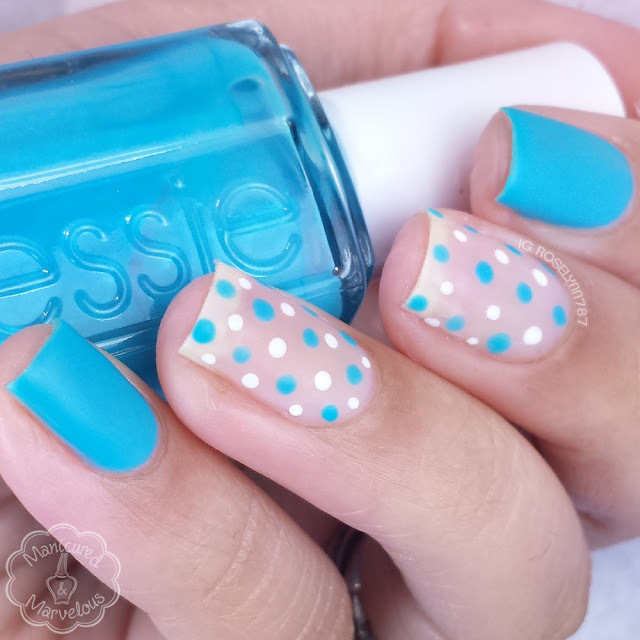 I really like the dots...and Im slightly jealous of how evenly they turned out. I love the look of the matte with the negative space, it dresses up the "naked nail" and makes the whole look really something special!